This outfit ended up looking like it was inspired by the film Clueless. Which subconsciously it probably was. 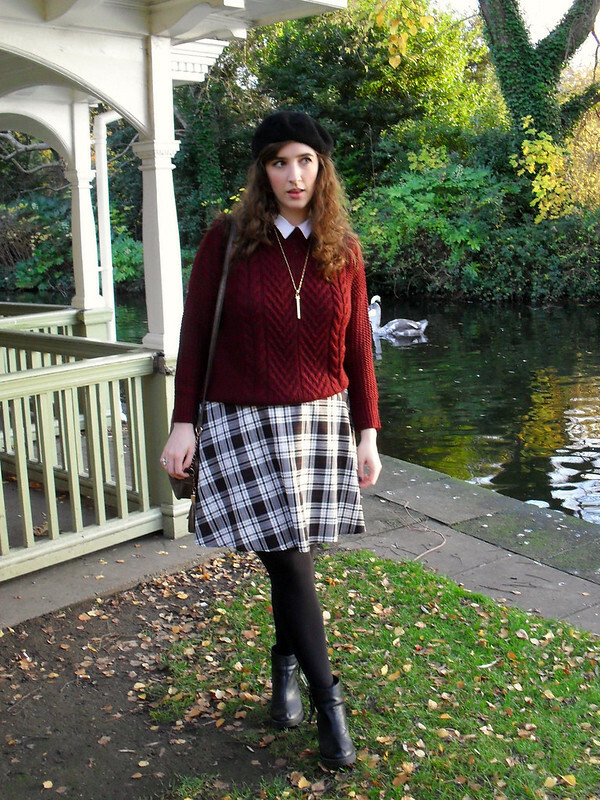 You'll have to excuse my awkward faces as the entire time we were taking these photos, there was a man with a DSLR taking photos of me too, it didn't exactly put me at ease, that's the last time I take outfit photos in Stephen's Green! I always start the Autumn/Winter season with a small list of clothing and accessories that I want to buy. 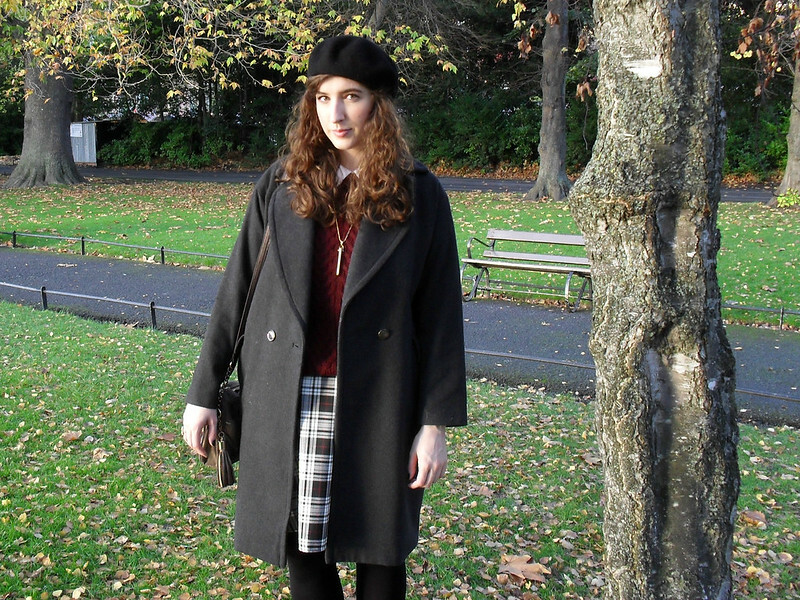 A tartan skirt was one of those items and after some looking around in stores and online, I found this one on ASOS. It's always difficult to shop online because you're imagining what something is going to look like on you but I was so happy with this skirt, it's exactly what I wanted. 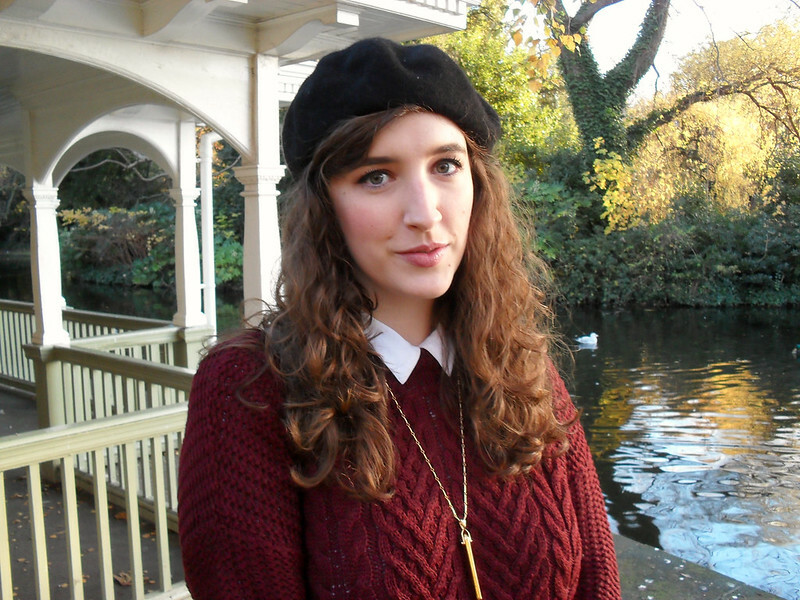 I also had a cable knit jumper on my list and I found this very inexpensive one in Zara. I've been wearing it a lot recently since it's gotten colder. It's heavy and warm and perfect for layering. I like to wear it over dresses that have an A-Line/ Skater shape for an extra layer of warmth. You've probably seen me wearing the Stella and Dot Rebel Pendant already but I love it so much I always grab it when I'm deciding what jewellery to wear because it goes with everything. I might just have to get it in Silver and Rose Gold! It's actually the most expensive thing I'm wearing in this outfit, everything else was under €40. If you're still looking for a new winter coat, I can't recommend this one from H&M enough, it's only €29.95 and is still available online and in stores. It's wool mix and lined too, so it's very warm. What was/is on your Winter shopping list? I love when I see you have a new post up! I adore that pendant! Aw thanks Yav! I love it too, can't stop wearing it! Your face looks thinner, have you lost weight?